Entertainment forms a very prominent part of weddings. Entertainment is included in weddings in some form or the other in different magnitudes depending on your requirements. People have different ideas for entertainment in mind and arranging for that individually becomes a huge task altogether.If you do not have contacts with proper resources it becomes really difficult to arrange for the same. Entertainment might not sound very tedious but it comes along with a lot of other arrangements which includes arranging for the stage, lighting and also the performers. These things taken together, if one is not a professional in managing resources it is almost impossible to get it done and make the arrangements in due time as the resources are limited and the demand is especially during the wedding seasons. We at Rachnoutsav have specialized teams who are not just masters in dance, there are various other entertaining acts that can be arranged by them. These acts include acrobatics, fire acts, aerial shows, dance numbers are also choreographed as per your wish. We understand the fact that a wedding involves a huge category of people belonging to all age groups and different tastes, thus our troops choreograph their numbers in such a way that it becomes entertaining for one and all. 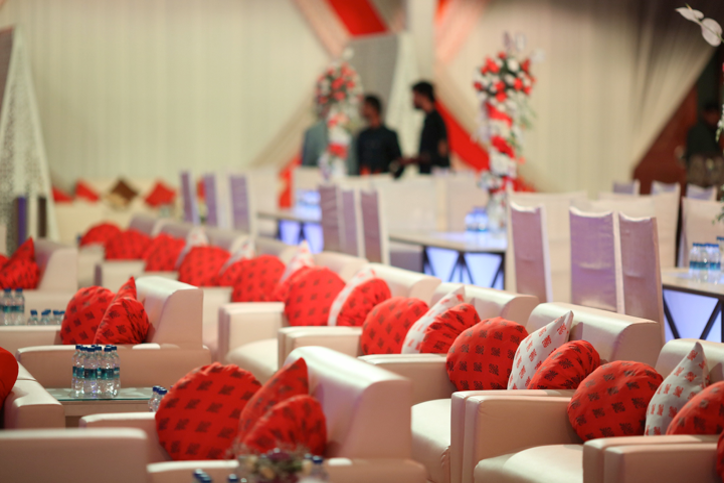 Your wedding is a special day for you and we make sure that your guests have a great time too. We try to make your day a memorable one for one and all, so that when they talk about your wedding they mention the great entertainment you had arranged for them. Different families, different cultures and different kinds of wedding call for different kinds of entertainment and Rachnoutsav has specialized troops trained to take care of each of those requirements along with organizing the stage, the lights, etc. and make your wedding great success from every aspect. You need not worry about a thing, just get ready for your big day, attend the rituals, sit back and enjoy the moment, make some wonderful memories. Our entertainment services are worth investing on as our troops are one of a kind and specialized for the purpose. Let us make your day even more special with our entertainment and our efforts.